Update: After months of development, iKamper’s X-Cover rooftop tent is now up for pre-order via the brand’s website. Instead of launching on Kickstarter, iKamper is running its own pre-order campaign from January 13 to February 17. Any order placed within that timeframe will receive a discount off the X-Cover’s intended final price of $2,950. Pre-orders are available in three levels: Super Early Bird for $1,900, Early Bird for $1,950 and a standard pre-order at $2,000. As of now, only Early Bird and standard pre-order pricing are available as the Super Early Bird allotment of 115 X-Covers sold out minutes after the campaign went live. According to iKamper, orders will begin shipping between late May or early June of this year, depending on pre-order volume. Original article: Originally designed as a way for people to protect themselves from predators, rooftop tents have enjoyed a boost in popularity of late. Not necessarily because of its intended use, however. 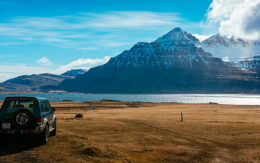 Though people camping in America have less to worry about than overlanders in Australia or Africa, these vehicle-mounted tents have begun showing up at every campground and RV park across the country. 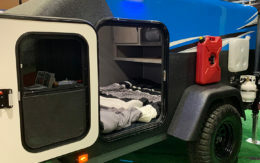 Yet for everything they get right, rooftop tents have a few glaring weaknesses including their inability to accommodate roof racks and the fact they require a cumbersome cover. To fix these issues, the upstart outdoor equipment company iKamper designed and built an innovative new RTT called the X-Cover. 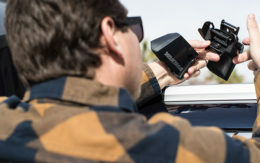 With an inverted design, the X-Cover features two integrated crossbars that allow for the installation of roof racks capable of hauling surfboards, bikes, kayaks and other outdoor gear. iKamper said the crossbars are even compatible with most after-market accessories. Many rooftop tent users also tend to find RTTs and their covers difficult to install and remove. With the X-Cover, this feature has been scrapped entirely as it’s the first to employ a soft-shell tent which improves the ease of setup and breakdown. 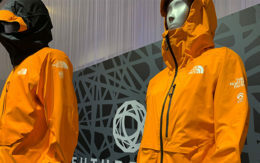 The brand says the tent can be camp ready in just two to three minutes. Once pitched, the interior features a king-size mattress and pop-out awnings offering enough space for two adults and two children, or even three (cozy) adults. iKamper also designed the X-Cover with a “skyview” window, which allows natural light to pour in during the day and for stargazing at night. The X-Cover is only in the beginning stages of coming to market. Similar to iKamper’s other rooftop tent, the Skycamp, the X-Cover plans to launch via the crowdfunding platform Kickstarter. Judging by the Skycamp’s popularity when it launched — more than $2.3 million raised — and that it’s unlike anything on the market, it’s likely the X-Cover enjoys crowdfunding success on its own. Pricing details are scarce, though iKamper told Trucks.com that the X-Cover ceiling is $3,000, with Kickstarter pricing starting much lower. According to the X-Cover landing page, iKamper is hoping for a late-2018, early 2019 release. For additional information on the X-Cover, and to be one of the first to know when it hits Kickstarter, head over to the iKamper website.